Thread: Simplest Perpetual Calendar option?? Hey there folks, I've browsed this forum a good bit and learned a lot from this place - THANK YOU ALL! I prefer numerals over indices/markers. Well lumed would be nice. 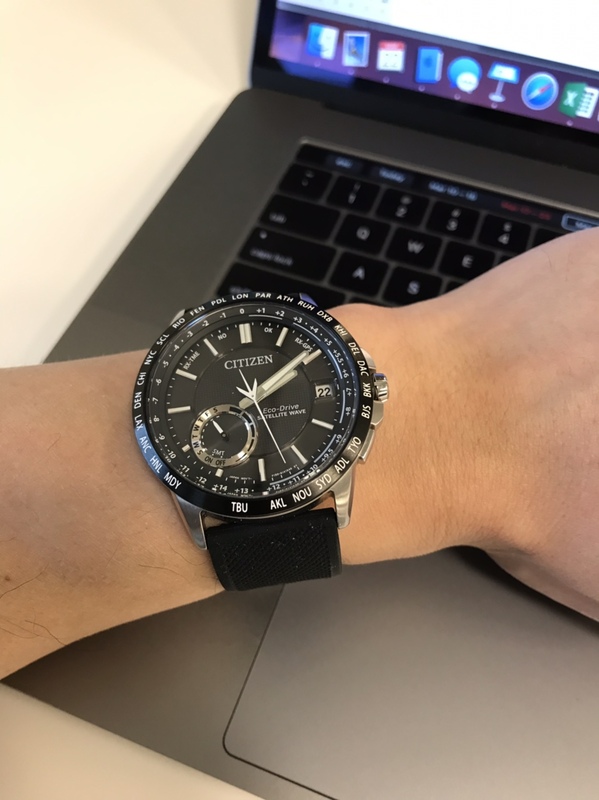 The Casio Oceanus is close to what I want, but it uses a proprietary bracelet. The Promaster Tough is close too, I like the simple look, but the date window is tiny, and it's not a perpetual calendar. All the US-market Citizens just have waaaay to busy looking dials. I'm very much a less-is-more kinda guy. Easily switching time zones isn't a concern for me, I don't travel outside my own time zone often enough to worry about it. Right now my top pick is the Promaster PMD56-2951/2 (can't decide which color I like best). I like the size, look, lightweight titanium case, and big easy to read at a glance numerals. The downside being it's a Japanese market only watch, and only receives the Japanese atomic radio signal, yeah, I know about the simulator app. 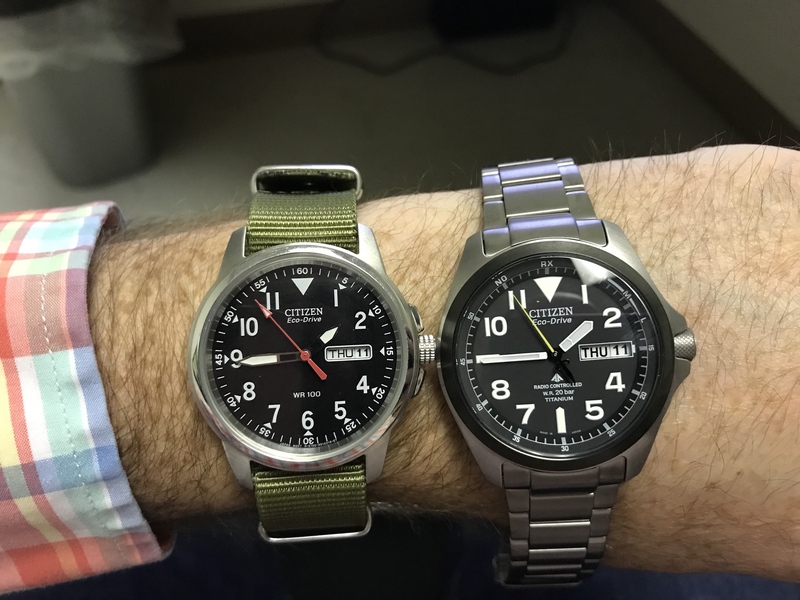 It's not so much that the Japan-only signal is a problem, more that it's something I'd be paying for that I wouldn't use, and it's not an inexpensive watch. I'm always happy to pay less obviously! Any other suggestions, or should I just go ahead and pony up for the PMD56? Re: Simplest Perpetual Calendar option?? I've got the PMD56-2951 and I recommend it based on your criteria. I think if you are looking for something that is no fuss, 'set-it and forget it' PMD56 is definitely a nice option. I could not get the JJY app to work but I found a program called Clock Wave that does same thing and it's easy as heck to synch whenever you want the watch to update via radio signal, usually takes less than 5 minutes. 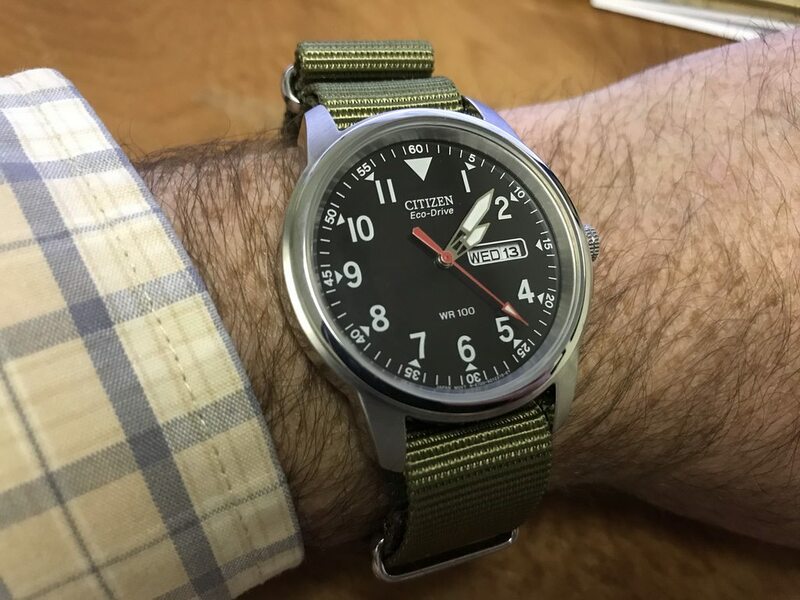 As another option to explore, I've noticed a new Mont-Bell Citizen collaboration is out CB0171 series that was released in March. Looks like there are 3 variants 11L on leather with blue face, 89E on bracelet with brown face & 23E on leather with black face and darker shade of titanium. Radio signal works in US, Europe, China and Japan. I decided to take a chance and order the 11L as it seems to runs slightly less than the other 2 and I actually like the look of the blue better. No reviews out on these that I have been able to find but I'll try to update when mine arrives. My CC3005-85E is almost 44mm but otherwise seems to fit the bill. 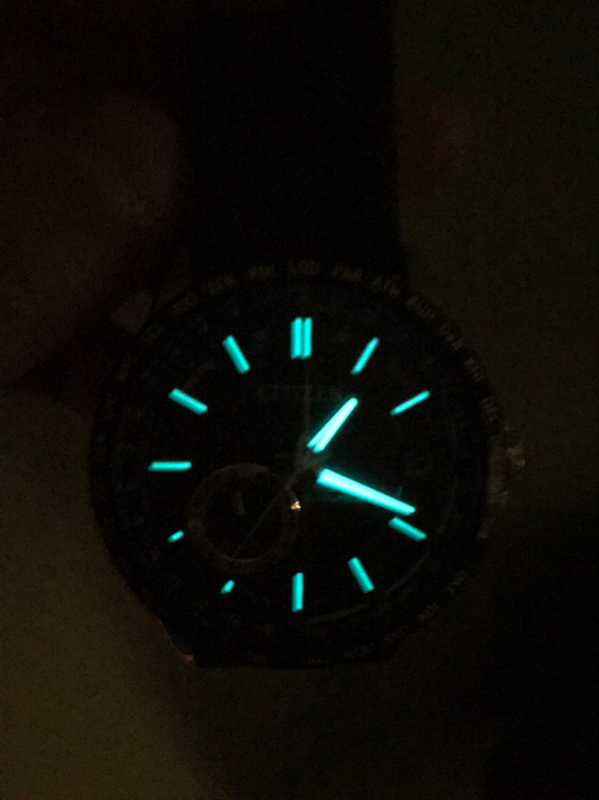 Eco-drive, sapphire, 100m WR, GPS sync (IMO better than MB6), good lume. I like it for its simple dial. Lug width 23mm not the most common but you still can get aftermarket straps. I’m currently sporting a silicone strap from Barton. I’ve tried nato before and it worked, you can even put in a 22/24mm nato and it still works fine. Last edited by Eric.S; 1 Week Ago at 19:53. GaryK30 and saridis like this. Will report back after I get some time with it...pun intended. Came in yesterday. Looks great! Sending it off to RandomRob on YouTube so he can show it off to more folks (not enough people know about these IMO), then I'll swap the bracelet out for a NATO, I've got a handful of BluShark Alphashark straps ordered. Two pics comparing it to the BM8180. 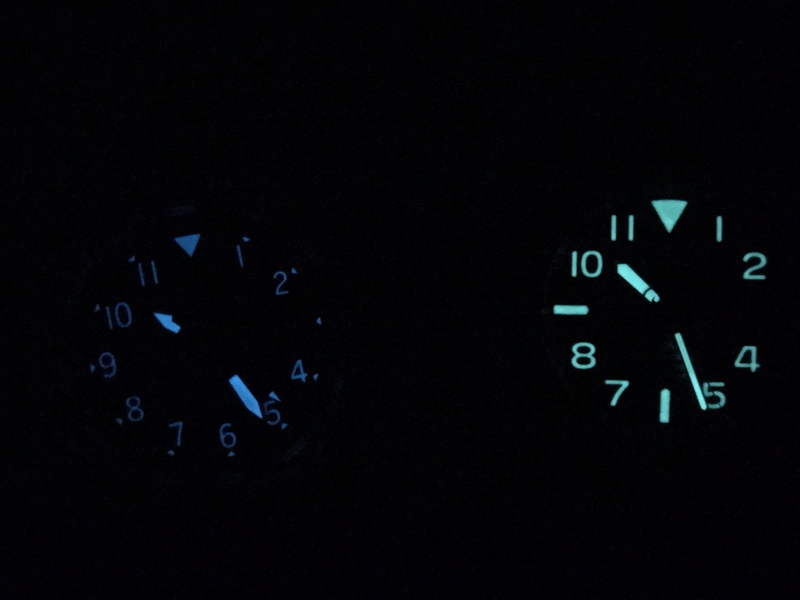 Daylight and lume. The lume is way better on the ProMaster. Got my CB0171-11L Citizen Mont-Bell LE in. Love it. Will try to review soon and make specific comparisons with PMD-56 because that is the watch I believe it is closest to stylistically and functionally. BTW swapped out the leather bracelet for a Bonetto Cinturini navy italian rubber band. Jlc perpetual calendar other options?